Round the world airfares have various combinations possible to mix and match travel classes to suit your ideal budget. But, there are some rules and restrictions due to how tickets are constructed and managed, you can’t pick and mix on a per sector basis. The most flexible airfares for mixed classes are with the 3 continent basic airfares. Our most popular deals allow a great variety of route options, sensational pricing and flexible itinerary creation. 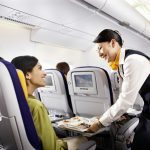 The basic rule of thumb is that these fares will give you a 3 continent trip with Europe as the middle continent, see each RTW airfare deal for specific continent combinations. 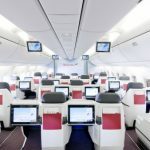 They will allow you to mix and match a Lufthansa, SWISS or Austrian fare by dividing the trip down the middle at Europe and picking a preferred travel class for each half of the trip. With these combinations our team can find the right balance of travel classes to suit your budget. Looking to experience the ultimate level in comfort? 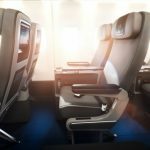 You can also upgrade to First Class on portions of your trip instead of Business Class. 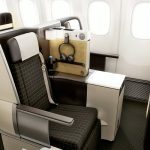 There is also an option to do a full SWISS Global fare where the SWISS flights are in business and the other legs to/from Australia on the partner airlines are flown in economy. Or half in Business and half in First. Australia – Asia [Economy] // Asia – Europe – North America [SWISS Business] // North America – Australia [Economy], or vice versa. Australia – Asia [Business] // Asia – Europe – North America [SWISS First] // North America – Australia [Business], or vice versa. Finnair will also allow you to mix and match at the European break point of the airfare as follows, with itineraries possible in either direction. Whilst booking a mixed fare is a good way to keep the price of your airfare down, it is worth keeping your eye on sale periods when you can pick up a full business class round the world ticket at a discounted price which may represent better value. 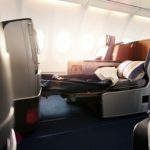 The oneworld round the world airfare can be booked in economy class with per sector upgrades to premium economy. Pricing per sector is below but can get rather expensive if adding multiple upgrades, perhaps as much as a discount business class round the world fare, so worth discussing your budget with our expert consultants and we can recommend the best fare for you. All other sectors [e.g. Europe-North/South America] USD950. Search all round the world airfare deals or piece together a preferred route with our trip planner to submit to our consultants for expert service. Include any notes in the comments about your preferred budget and travel class and we’ll help structure your trip accordingly.